Ah, roughness. It was not only Benoit Mandelbrot who discovered that there is at least some roughness everywhere. Now, focussing merely on it is not what makes art but the holistic melange of seemingly diametrically opposed extremes, e.g. tenderness and roughness – delicacy and coarseness – sentiment and sensuality - soaring and grovelling, dirt and deity – make truly remarkable art. This is a feat that was achieved through what Rembrandt channelled via his paintings, which not only incorporated the aforementioned attributes but were infused with his unique approach that keeps capturing and inspiring the imagination of recipients throughout the ages. Anyone who has had a chance to view Rembrandt’s painting close-up would be able to attest to the quality that the often rough textural layering adds to not only his most prominent pieces but his oeuvre at large. 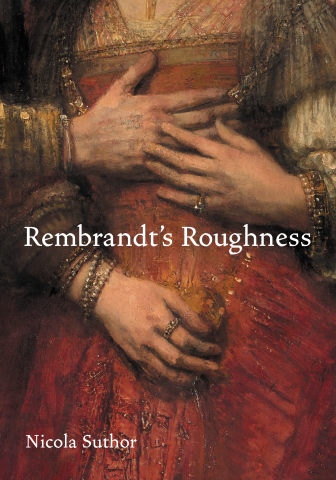 The fact that Rembrandt not only let the “roughness” of his painting shine through, e.g. the thick layering along with the visibility of things like coloured priming and the extensive usage of “chiaroscuro” (the nuanced treating of shade and light in paintings), but emphasized it and used it as a tool helped him to elevate his art above comparable emissions of his contemporaries as it escaped the limitations painting and its materials was subjected to back in the day. This kind of approach along with Rembrandt’s ability still work with a laser like precision is the focus of Nicola Suthor’s research, which helps to get a least a hint of an idea of how much subtle complexity is beyond literally every brushstroke of one of the masters. It also investigates and shows that assessing and appreciating Rembrandt’s art for its merits it something that can only be fairly assessed if it is seen contextualised in the canon and history of art, which shows how many aeons ahead of his time Rembrandt really was.